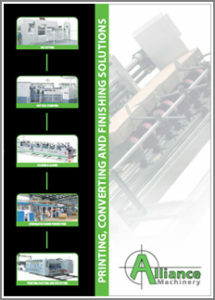 The DualCoat Duplex, double-sided UV coater is an industry innovation that is the very first of its kind. The DualCoat Duplexwill reduce wasted materials, labor costs and icrease production throughput. Since it is coating both sides at once the savings could be up to 50%. The DualCoat’s groundbreaking design is the first UV coater to apply UV coating to both sides of a sheet of paper in the same amount of time and effort as coating a single side. It also offers on-the-fly shifting between single sided and double-sided coating for even greater production flexibility. In addition, the coatings on the DualCoat Duplex can vary from a satin coating on one side to a gloss finish on the other. 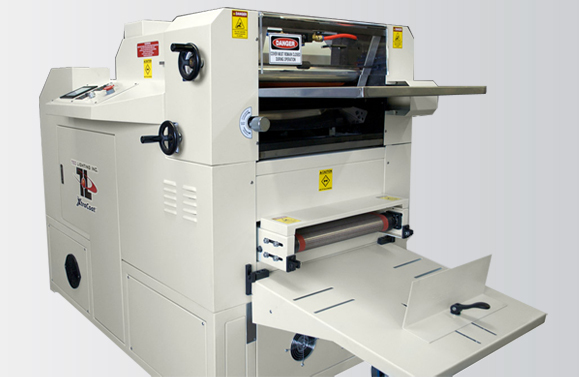 This 18-inch wide double-sided UV coating machine is engineered to interface inline with every popular digital press in the marketplace.